That is the jaw-dropping amount raised by the Top 10 Most Generous Workplaces during United Way of Southeast Louisiana’s 2017-18 campaign. The Top 10 are some of our most all-in companies who, each in their own way, firmly support our fight to eradicate poverty. As the head of Resource Development and Marketing for our region’s United Way, it’s my honor to personally interact with many of the leaders and employees within our Top 10 workplaces. These companies understand that giving to United Way is a smart investment – for the health of the community, their employees, and their bottom line. This blog is one of thanks and recognition, to shout out the commitment of the Top 10 Most Generous Workplaces to a better, stronger Southeast Louisiana. Entergy Corporation, year after year, exceeds expectations of how generous a company can be to meet the needs of those struggling in our community. 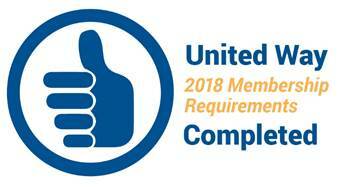 The company provides a 1:1 match on all employee AND retiree gifts, they provide opportunities for their employees to participate in our many volunteer events each year, and they make substantial investments in United Way’s internal initiatives that focus on Financial Stability and Long-Term Recovery. 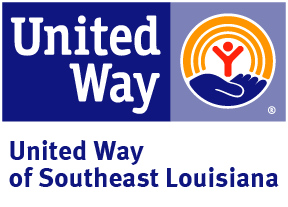 In addition, Entergy has served as the lead sponsor of United Way’s ALICE (Asset Limited, Income Constrained, Employed) report for the state of Louisiana, a comprehensive study of financial hardship. Shell maximizes the impact of employee gifts with a 2:1 match during their campaign kick-off period and a 1:1 match at all other times throughout the year. Employees also give back with their time, regularly participating in projects coordinated by United Way’s HandsOn volunteer center. We’re fortunate to be a beneficiary of Shell’s annual golf tournament and generous corporate grants for STEM programming and activities. Valero also offers incredibly generous corporate support with a 50 percent match on all employee contributions. With more than 200 employees contributing every year, their overall investment in our community is significant. 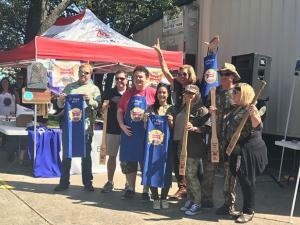 Valero hosts a large – and delicious – jambalaya cook-off fundraiser with employees and contractors. The competition gets pretty fierce, but all for a good cause. Their enthusiasm fires us all up. Chalmette Refining – PBF Energy’s workplace campaign is led by a passionate employee team who go above and beyond. Several presentations and recognition events are held to communicate the importance of supporting our work in Southeast Louisiana. They coordinate numerous special events – ice cream socials, fishing rodeos, cook-offs, golf tournaments (the list goes on) – to engage employees with United Way, and the results show! IP is another bighearted corporate contributor, with a 60 cent match on every employee dollar contributed. The hallmark of the International Paper Bogalusa Mill campaign, the largest on the Northshore, is an annual golf tournament that drives their fundraising to the next level. IP volunteers also recently installed Born Learning Trails, a series of 10 interactive signs that offer fun, active learning activities for young children and their families, at two parks in Bogalusa. With a 1:1 match on all employee gifts from the company, and such a significant amount of Tocqueville ($10,000+) donors, we are honored to have the support of Freeport-McMoRan each year. Freeport is also the expert in themed campaigns. 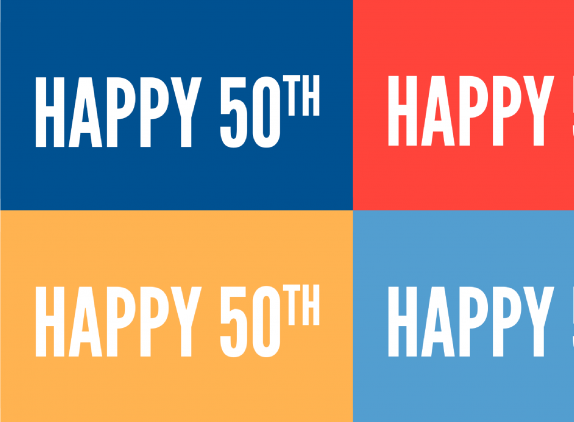 The company’s creativity every year inspires ample giving from employees, and allows us the opportunity to spread the message of United Way’s fight to eradicate poverty in fun, engaging ways. The success of the workplace campaign at Pan-American is led by strong buy-in from leadership as members of the Pan-American management team have served on United Way’s Board of Trustees for decades. The company has one of the most engaged committees to oversee fundraising activities and events and thinks of new ways to grow their campaign revenue each year. This year, to kick off the campaign, all employees were treated to complimentary breakfast given out by United Way employees. UPS has one of the most successful United Way campaigns in the entire country, with more than $1 billion invested by employees since the beginning of their partnership with United Way as a Global Corporate leader. UPS coordinates several presentations – at all hours! – to educate employees on the value of United Way in our region, and employees have continuously provided much-needed volunteer support at our year-round Days of Action. A 2:1 match on employee gifts from the Reily Foundation helps Reily Foods’ campaign soar. The support from Reily’s management team is outstanding, with several Tocqueville members and Leadership givers. 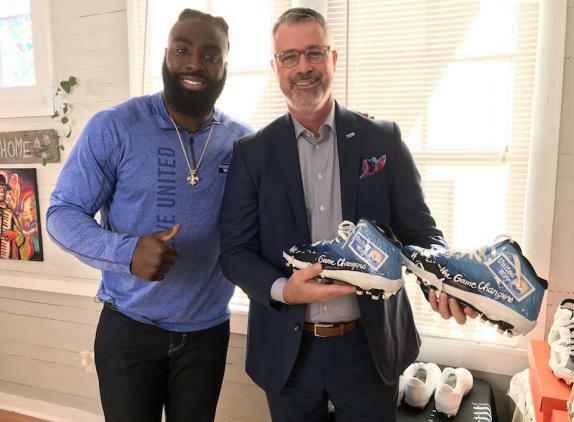 The company allows United Way presentations during the campaign, which helps employees understand the impact of their gift and connects them to resources available through United Way, like prescription drug savings and free income tax preparation. Hancock Whitney is a valued United Way partner, with one of the largest corporate gifts in the region. Their leadership is incredibly supportive and active during their workplace campaign, setting the tone for company-wide buy-in and successful fundraising. We are also fortunate to also have many Hancock Whitney leaders on our Board of Trustees and Campaign Cabinet. As we near the end of the 2018-19 campaign, we look forward to seeing which new companies edge their way into the Top 10. If you are interested in joining these generous workplaces and connecting your business to the community through a United Way campaign, please get in touch.